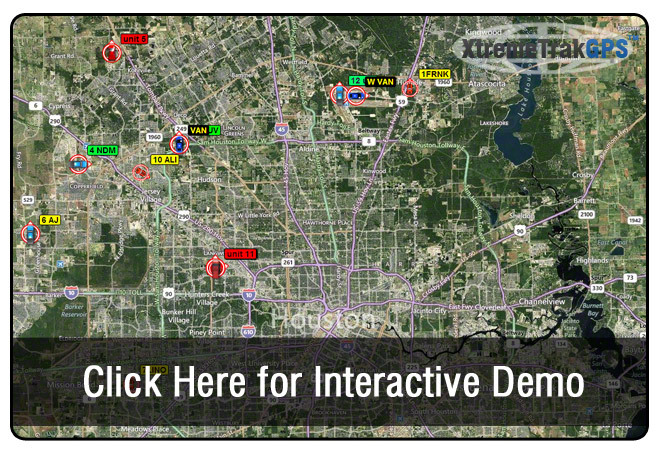 To view a live demo of our GPS tracking application, click on the map below. Please note: The demo will pop up and open in a new window, so make sure your pop-up blockers are turned off. Also note that the demo is truly a live demo using real vehicles and tracking devices. Therefore, depending on the time of day you are accessing the demo, the vehicles may or may not be moving on the map at that particular time.